Thinking of buying a new tow car or motorhome…? Then you need to be ready for some new vehicle tax rates which come into force from April 1st, 2017. The way vehicle tax (Vehicle Excise Duty) is calculated will change for tow cars and a small number of motorhomes that are first registered on or after April 1st, with some owners facing an increase in their tax demands during their first year of registration. The new regulations are based on the vehicle’s CO2 emissions, with a one-off tax charge for the first year – usually paid when you buy a brand new tow car or motorhome. From April 1st, this first year tax rate will increase by to up to £2,000 for those vehicles which cause the most pollution, but electric cars with zero emissions will pay nothing at all. Your motorhome or car dealer will know more about the first year rate charges. According to the National Caravan Council (NCC), most motorhomes registered after April 1st won’t be affected. Your motorhome dealer will be able to check if the vehicle should be taxed at the new rate or if it falls outside the scheme by checking the Type Approval Certificate. If there is no CO2 figure listed then the motorhome will be taxed at the existing rate as a Private Light Good Vehicle (PLG) or Private Heavy Goods Vehicle (PHG), depending on its weight. If your petrol or diesel car or motorhome has a list price of more than £40,000 at first registration, (and your motorhome falls under the new scheme), then you’ll have to pay an extra £310 on top of the standard rate above. This is payable for five years on top of the standard rate from the second time the vehicle is taxed, before it reverts back to the standard rate for your vehicle. So that’s £450 a year for the next five years from the second year it’s taxed. Owners of alternative fuel vehicles with a list price of £40,000 will pay £440 a year, and owners of fully electric vehicles, £310 a year for five years. 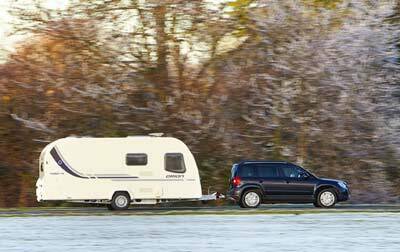 These changes don’t affect cars or motorhomes already registered before April 1st. Current road tax bands won’t change for motorhomes or cars that are already registered – you’ll continue to pay the current Vehicle Excise Duty rates. Will PLG and PHG motorhomes be affected? No, they’re not included in the new scheme. What can I expect to pay from April 1st? The owner of a new petrol car, costing under £40,000, with emissions of 115g/km pays £160 in year one, followed by £140 a year after that. A new alternative fuel car, worth more than £40,000 with emissions of 85g/km will cost £90 in year one, followed by £130 + £310 = £440 for 5 years before reverting to £130 annually after that. For more information visit www.gov.uk or talk to your car or motorhome dealership. Happens caravanners will take to the road and slow the network down and bring the government to a halt, If we pay we can say & use the road network we are paying for it, so use it. I say this as was told diesel was the way to go now I’m told different someone has to pay why me, I was working on someone else’s advice who we put in power to run the country. This is so idiotic only this Government could find a way of totally derailing the sensible drive for more fuel efficiency and more environmentally friendly cars. A new hybrid Mitsubishi Outlander PHEV, registered after 1 April, will pay as much tax as a new Range Rover – how bizarre. Would like to think this will be Hammond’s next U-turn!